We leave notes to ourselves and everyone else all day every day. Most of the time those notes are entirely serious and we’re wanting to send a message or leave a message for someone else. On occasion, those notes turn into a fun way to express our personality to our friends, family and coworkers. The notes that bring the most laughter are the ones that stick out in our minds because we’re just not used to seeing notes that are meant to be jovial or jocular. Everyone needs a good laugh in their lives and that’s why we’ve brought you 10 of the funniest notes that were ever written. Check out this top 10 and let us know if you’ve ever run across notes like these. 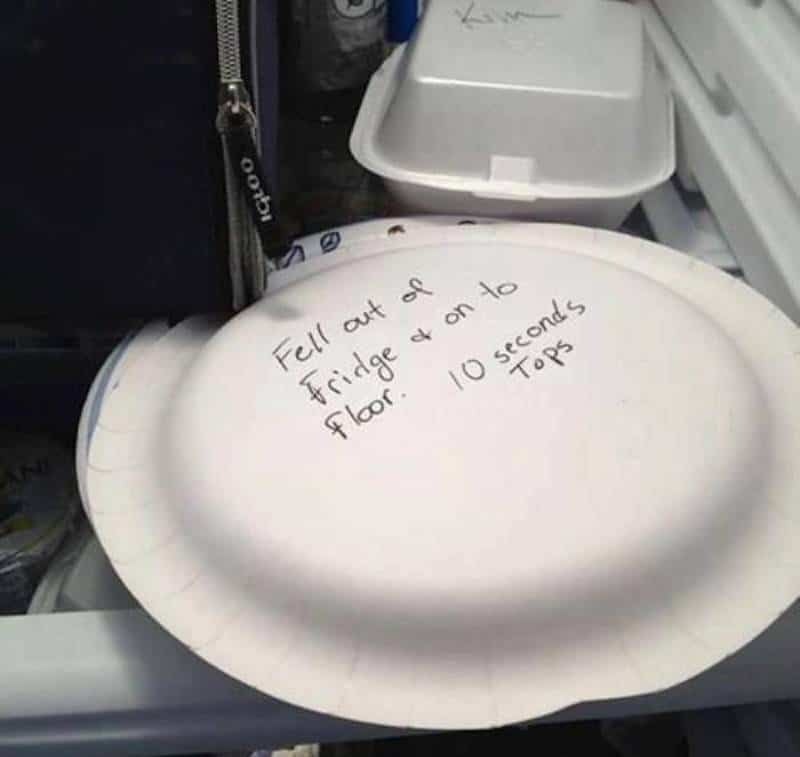 We can certainly identify with the person who wrote the response note. 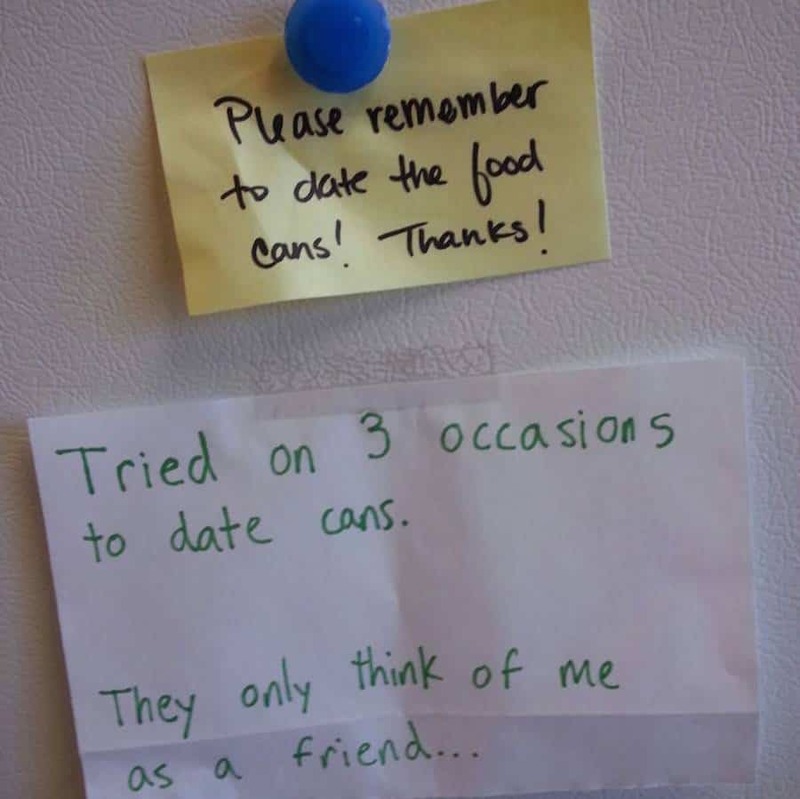 Except for the part where they were trying to date cans. 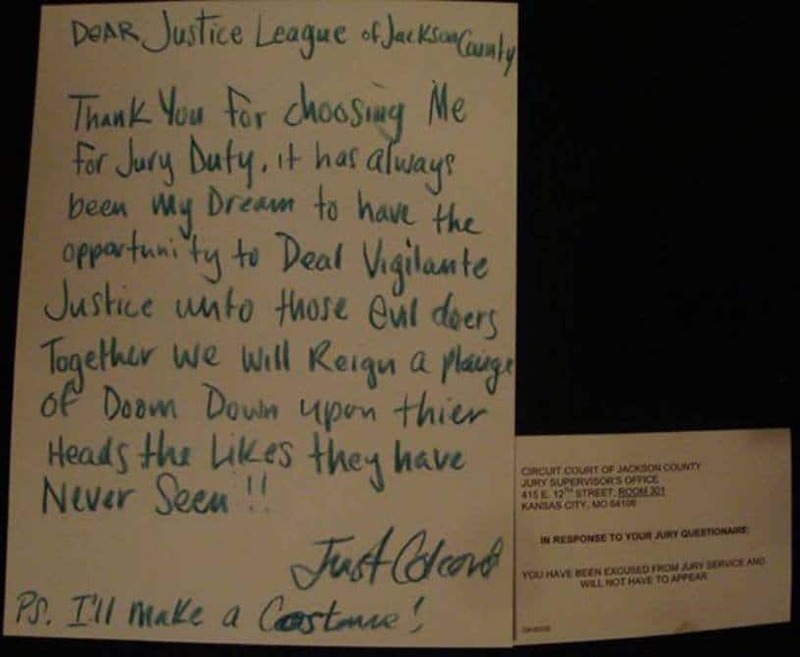 This note is the absolute perfect way to make sure you don’t have to do any jury duty. The “I’ll bring the costumes” is a work of genius. 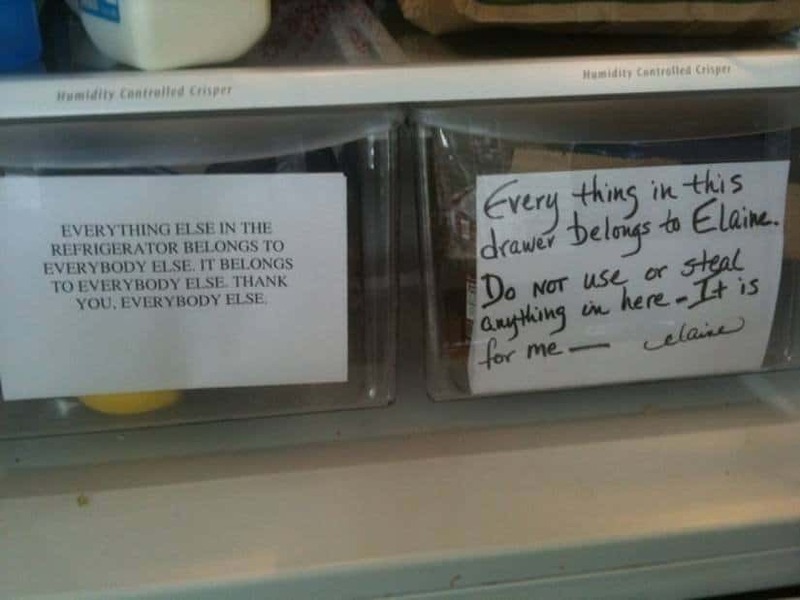 Whether these are coworkers or roommates, Elaine got her comeuppance with the note on the left. Okay, But What’s That Orange Thing? This note is even funnier when you know the back story. 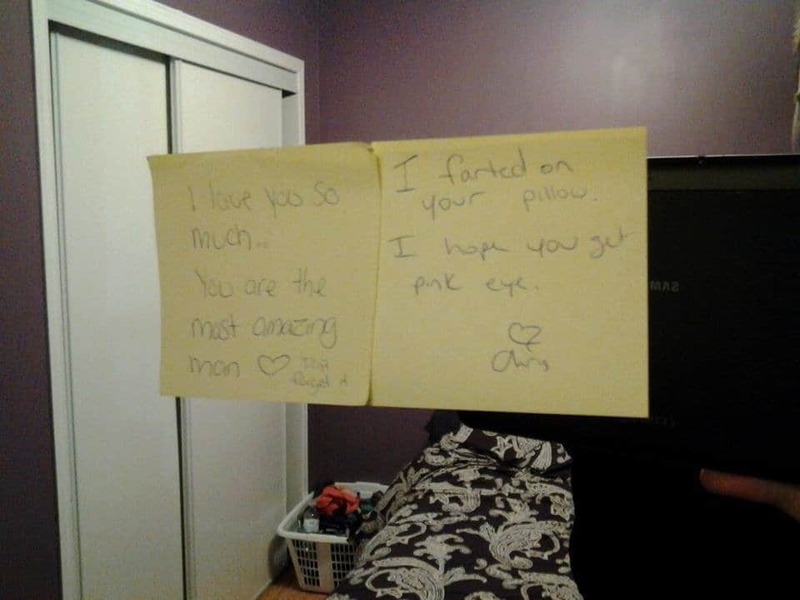 This was a note from a wife to a husband. 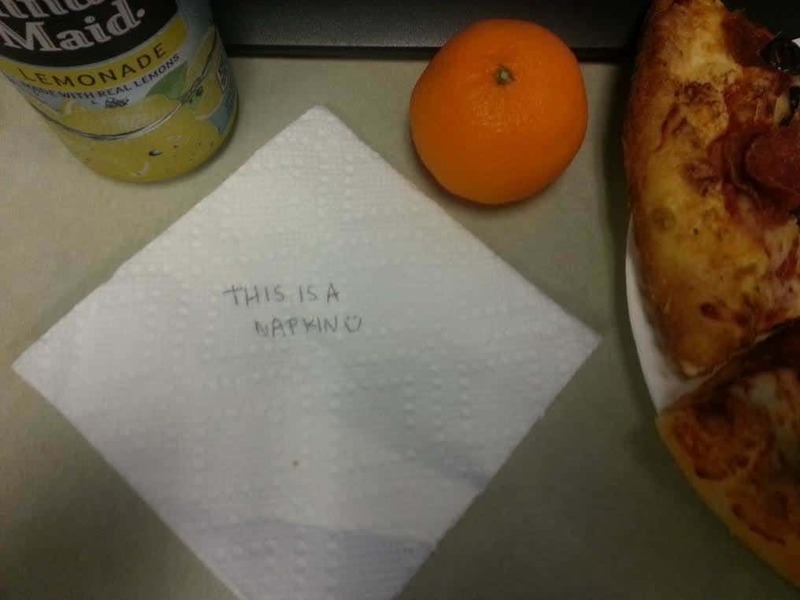 The husband said she used to leave him very loving notes in his lunch. The romance might be gone. 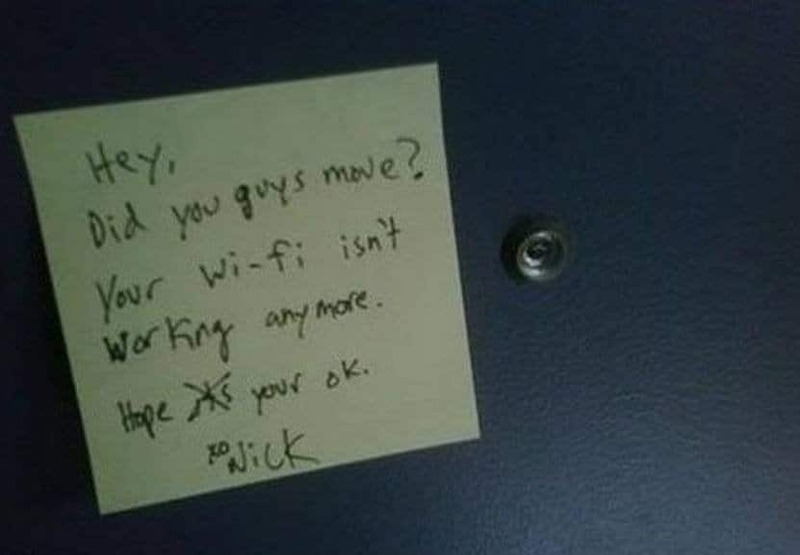 The best thing about this note is the likelihood that the neighbors didn’t know they were having their WiFi snatched. It’s too bad Nick let his true motives slip, it would almost have been sweet. That means whatever is under that dish is still edible. We call dibs. So … Don’t Let The Cats Out? 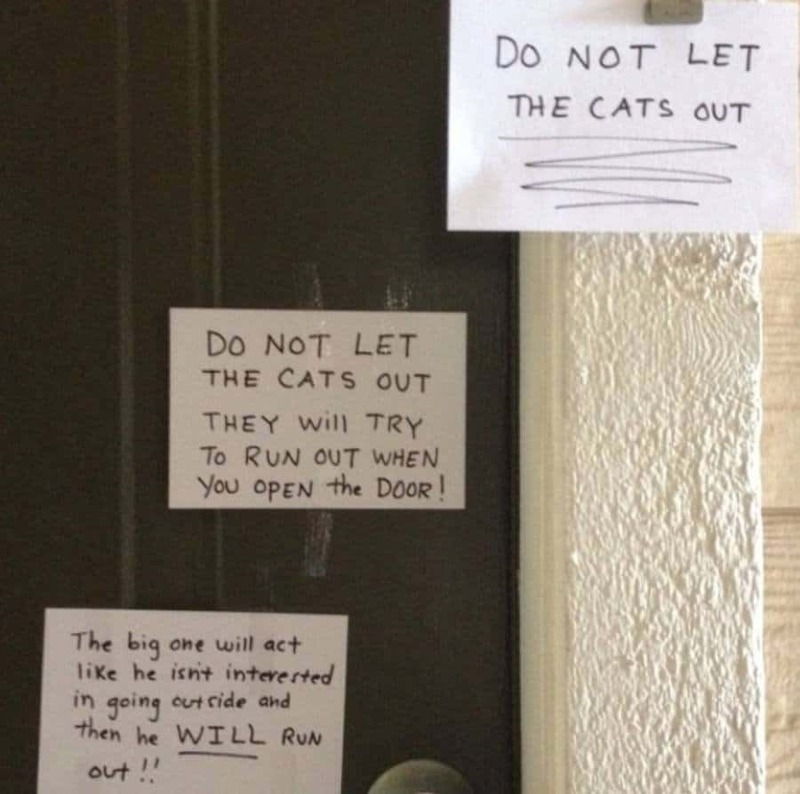 The person who left these notes wants everyone to make sure the cats don’t get out. They really, really don’t want to let the cats get out. Seriously, the cats shouldn’t get out. Or else. Anyone who’s ever been married knows these notes are something we’ve seen some version of at least a couple of times a week. 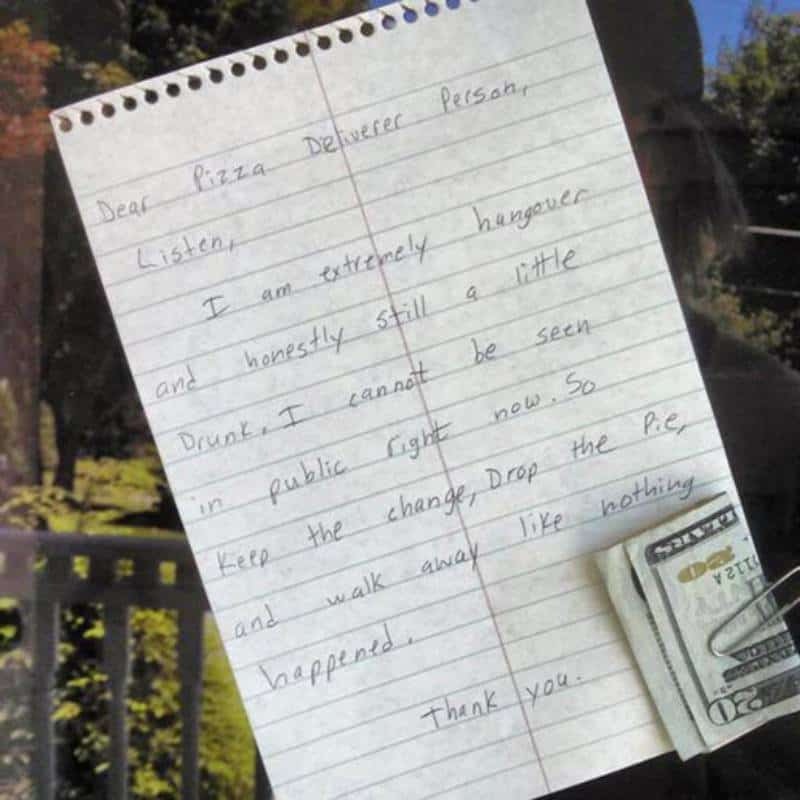 The best part of this note is that the person who wrote it called the pizza delivery person, a pizza deliverer person. That’s just plain genius. 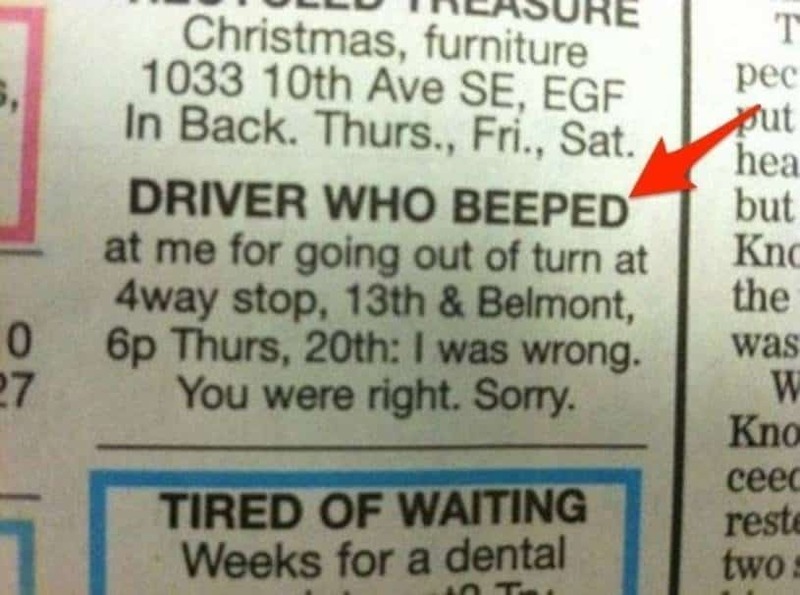 This classified was posted after the user realized they had actually been wrong about their actions in traffic. You have to give them credit for being willing to go to these lengths to admit they were wrong.